Richard Malik is a consultant in small animal medicine that has a special interest in infectious diseases of companion animals. He is particularly interested in viral diseases of cats, fungal diseases especially those caused by Cryptococcus species, mycobacteria, saprophytic pathogens such as Burholderia, Prototheca and Pythium and most recently parasitic diseases. 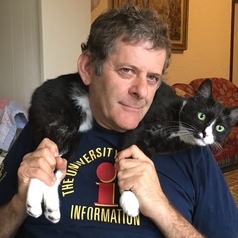 Richard works for the Centre for Veterinary Education where he facilitates feline distance education programs and develops life-long learning strategies for vets in practice. As well as veterinary qualifications, Richard is a Fellow of the Australian Society of Microbiologyand a Member of the Australian Society of Infectious diseases.